A birthmark is a colored patch of skin, often visible at birth or soon after birth. There are many different kinds of birthmarks and they can be any size, shape, or even color. 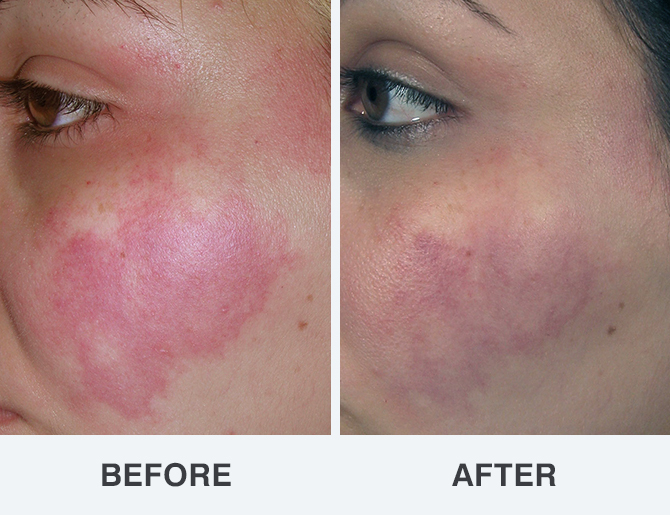 Laser therapy treatment can be used to prevent growth and/or to fade or remove some birthmarks. Click any before & after photo below for a closer look.